There’s room for improvement in each room of your home. Here, we will take a look at a few remodeling projects that will have an impact both on your quality-of-life and your home’s value. We’ll also point out which projects you should tackle on your own and which to pass off to the professionals. When the homeowners called Color Theory, they initially wanted a quote for painting, but also learned about our color consulting service and were interested in what help that might bring. They had already started working with an interior designer but were still a little back and forth on the new colors. We brought our colors with us and developed a scheme that would work beautifully with the lighting of there home. I just ordered a new book for myself by my favorite author on design, Terence Conran. The book itself is maybe a decade old by now but Conran has never been out of date. The book, How To Live In Small Spaces, walks us through the des ign, furnishing, decoration and detail of living in small homes. Coming up with a good kitchen design idea is equal parts fun and overwhelming. Here are a couple of things you can do with paint to overhaul your kitchen without ripping everything out. Deciding on whether to paint your house on your own as a weekend DIY project or whether to hire out painting is a big question. When I meet with homeowners they are often weighing out whether it's worth it to pay the premium cost to have it done or if they will be pleased with their own craftsmanship. Between you and me, if it were my home, I would probably do it myself. But that's not fair because I'm a professional. There are three things to consider when choosing between having your home professionally painted or...um...not so professionally painted. My sister is one of those fortunate and unusual types who enjoys cleaning; her home is always neat as a pin. For the rest of us, news of Color Theory's new cleaning service is something of a Christmas gift. When we imagine rooms in our mind's eye, wall color is quite often one of the first things we think of. To that end, as we plan updates to our homes, a change in wall color is at the top of the to-do list. Trim, meanwhile, is not infrequently painted a white semi-gloss. Doors, too, are typically painted the same color as the trim. And that white semi-gloss is tried-and-true for a reason: It's neutral, easy to clean, and makes just about any color look pretty darn good. But trim can also make quite an impact when it is done in unexpected colors. In fact, just a simple change in hue can shift the entire look of a space. The father of color relativity, Josef Albers, noted, "We are able to hear a single tone. But we almost never…see a single color unconnected and unrelated to other colors." This is what makes trim such a surprising—and likely untapped—element in a room. A thoughtful change in its color will noticeably affect the colors surrounding it—walls included. A super-lemon yellow door lends zest to the pale hardwood and gives the otherwise unmemorable white walls a refreshing, icy sheen. 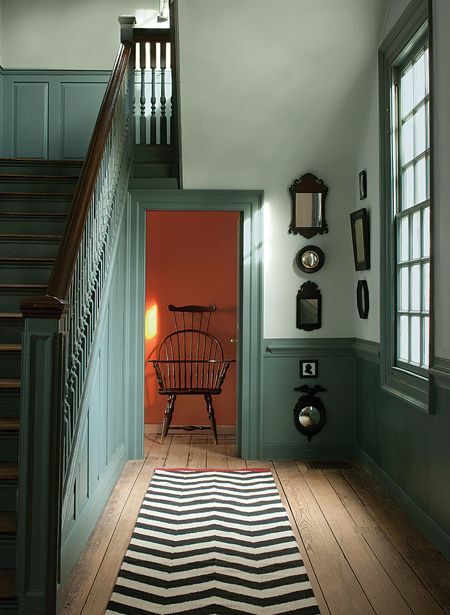 Warm, dusty teal quietly encloses the height of this space, making this entryway that much more inviting. By using teal on the doorframe, it becomes adjacent to the orange wall just behind—an unexpected and humorous touch. Deep wood-stained accents give the unusual trim work a traditional underscore. As a whole, these color choices make for an area of the home that becomes even more rewarding through experience. Grey has been quite the favorite as of late. And for good reason; it's flexible in both range and personal style. While remaining true to its classy neutrality, it becomes graphic when used on trim and built-ins which allows the whiteness of the walls to feel soft and considered. When in Versailles make your trim bold (and gold). When you've got the space, a well organized mudroom is a must. Everyday we get home we kick off our shoes next to the door. Throw our coats and bags on a kitchen chair and leave ourselves a mess to clean up later. But it's later right? We take care of later stuff later! With mudrooms, you don't have to put anything away because its already there! Wouldn't it be nice to just walk in, take off your shoes and coat and be done? Just go relax now? Here are a few ideas for built-ins that will do just the trick for you and your family. Baskets on shelves help you to contain the crazy. You know stuff gets out of hand. You know its impossible to sub-compartimentalize every last part of your life. Throw it in a cute basket, duh! Also, don't forget to switch out your throw pillows and rug for the season you're in. Try separating out a compartment for each person in the house. Give them the responsibility to maintain their own space. Reward them for organization and shut the door on them for being disorderly! Just kidding. Be nice. Whether your storage is overhead or down below, leave a little room for decoration to make the mud room inviting. The mudroom for you family is a "welcome home". We want it to set the tone for the rest of the evening. Now it's time to de-stress. You might be asking yourself, "why is wainscoting so popular in mudrooms?". Good question, I'm glad you asked. The reason I like wainscoting in mudrooms is two fold. First, wainscoting has a really nice interesting look, however, if it's over-used in a home it can look like it's trying to hard. Small areas like a mudroom or bathroom are great choices for a modest use of wainscoting. The second reason is durability and washability. Wainscoting is made from a particle board print that is much harder than gypsum board (drywall) so it doesn't damage easily. 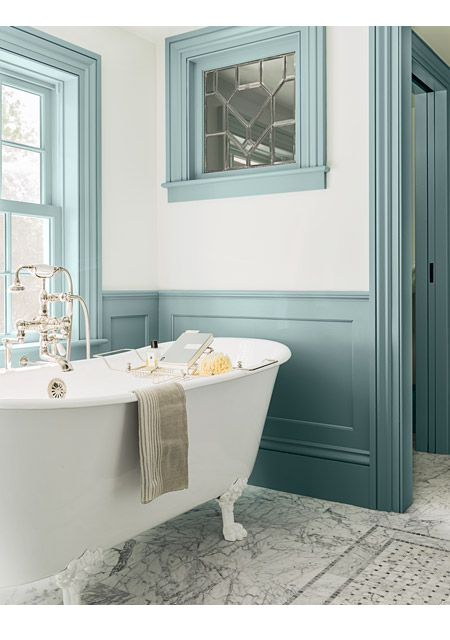 In addition to this, wainscoting looks best with a satin or semi-gloss finish which is very washable. Smooth walls don't do as well with higher sheens because they tend to show imperfections and roller marks. The verticle pattern in the wainscoting doesn't show these same imperfections. This year make a plan to flesh out your mudroom. You'll be so glad you did. Your house will feel cleaner and more organized and you'll love walking home and not tripping over a pile of shoes you don't know where to put. If you're interested in getting a custom built-in ask us about our friends the Walnut Builders and lets come up with a plan! Our past few posts featured some lovely outdoor spaces. But the recent cooler days (not to mention fallen leaves on the porch) may have you wondering how to make the most of your “fifth room” before winter sets in. Below you'll find a few easy tips to add warmth and coziness to your deck, porch, or patio. Better yet, these ideas work just as well in any living area. Fall in Bloomington is particularly beautiful. If you've ever spent a sunny afternoon out at Lake Monroe or Lake Griffy, you're familiar with the rich and colorful trees. You can easily borrow from the feeling of the landscape itself with textured pillows, throws, and rugs. Consider layering different textures to mimic the variation found in one of fall's best features: foliage in transition. Let's be honest: Some people just resist being outside as the days and evenings turn chilly. 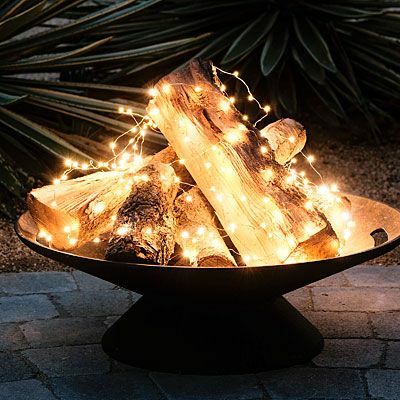 In addition to offering a favorite autumn sweater, adding visual warmth through lighting accents, such as string lights and votives (and maybe even a flame-free DIY fire pit, too) creates an enticing — and cozy — environment. See more outdoor lighting inspiration here. These DIY votive holders work well in outdoor both and indoor spaces. Apartment Therapy has even more ideas here. Perhaps the easiest way to get your outdoor space feeling Fall is through autumnal patterns and, of course, our favorite —color! Buffalo checks and other plaids make an even bolder impression in rich, warm palettes. And — dare we say it — usher us into the holiday season ahead. Adaptable to any home, these ideas are also well-suited for personal interpretation. They work in just about any decorating style. What's your favorite aesthetic for fall? Let us know in the comments below or on Facebook! The living room is the place where you live. You spend a majority of your waking hours here (or at least it's a close race between here and the kitchen). You want this space to look great but you also want it to bring your family together and feel like you can relax. In this guide, we are going to address how to find the right balance through furniture placement and decor choices so that you can live the life you want to be living in your living room. You've Got the Post X-Mas Money Blues—Here's what to do! 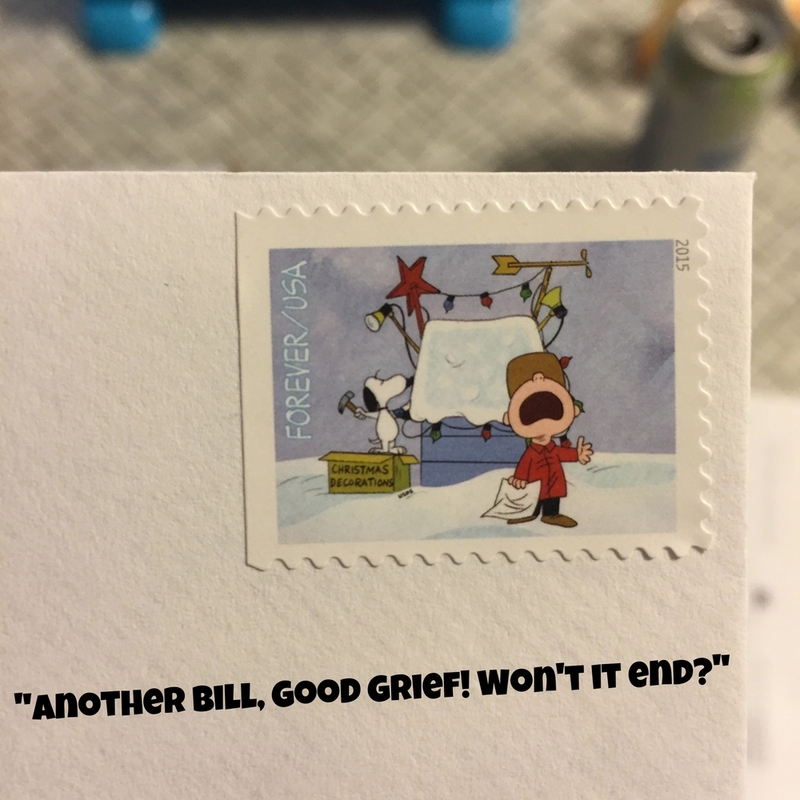 I wish I could put this stamp on every January bill. Don't they know we just had Christmas?!? You might be thinking to yourself, "what happened to all my cash?". I hear ya! It seems like we always make a plan to only spend a certain amount on Christmas and then Christmas Eve gets closer and we feel the pressure to pick up a few last minute things. It was great though! Giving to our family felt nice and everyone was happy. Until today when you start looking at what bills are coming up and you think, "why do I do this to myself every year?" . You could try and do a New Years resolution and go on a spending diet but what you really need is a plan, not a "spending freeze". Katie and I have been working on our Total Money Makeover since the fall and I'd love to share a few of the most important things we found working in our finances. This is a great principle taught by Dave Ramsey and I completely agree. Giving every dollar a name means that you are writing down all of your typical monthly expenses and giving each expense a dollar amount. Thus, every dollar in your budget is assigned a name. We love Dave's app everydollar.com. It's free and it's by far the easiest budgeting app I've ever used. Katie and I both have the app on our phone and use it, in addition to the Envelope System, to stay on the same page with our budgeting. You can add as many envelope categories as you want! Get creative too! Whenever we go to the store people are always asking us about our "cool wallet". Hold a monthly budget meeting —Ok, the first few are going to be tough but you have to do these every month and both partners have to have a finger on the budget. Personal finance is more emotional than math-y so be nice, be patient and keep it brief. List Out Income (minus) Expenses—Either using the app or writing it out on paper, put your expected take home pay for the month at top. Then list out all of your expense items below with expected cost in a column next to the item. The total on your expenses cannot be more than your income. The 25/10 Rule for Reocrruing Expenses—On the 25th and 10th of every month plan to pay your reoccurring bills ahead of time. For bills due between the 1st and 15th, send payments via check on the 25th of the prior month. For bills due between the 16th and the 31st, send payments on the 10th of the current month. This will ensure everything gets paid on-time or early. Use Cash for Non-Reoccurring Expenses—We're big fans of using cash. It allows you to feel the money going out. It also makes variable expenses fixed, which is great for your budget. Every week take out a set amount of cash for the things you buy at stores like food, clothing, toiletries and entertainment. Divide the cash you take out into those categories and label envelopes to hold and keep the cash amounts separate. This is known as the Envelope System. Avoid using your debit card or credit card for random or unplanned purchases. It's death by a thousand swipes. Before you go paying other people make sure you're paying yourself first. Try to look at savings as "delayed spending". You'll spend the money eventually but it will be for things that aren't a part of your monthly budget. We set aside 10-20% of our income for saving and have three basic savings categories: Emergency Fund, Emotional Savings and Long Term Savings. Save 10-20% of your income—That might be a lot for you, it's a lot for me. But start slow. Save 1% this month and then gradually raise it to the 10-20% range month by month. If part of your monthly expenses are debt payments stop at 10% savings so you can put a little extra weight behind paying off debt. If you can't seem to find the 10% get out the "chopping block" and start cutting out some of those reoccurring expenses and take out less spending money until you get to 10%. Pull the bandaide off quick! You can do it! Set up an Emergency Fund—Having an emergency fund will greatly reduce your dependency on credit cards and debt. It's a must have. After every paycheck, you'll subdivide 20% of your savings into a separate Money Market Account at another bank. In Dave Ramsey's plan, his baby step one is a $1000 starter emergency fund. I strongly encourage building this little safe haven as quickly as possible. Once you get to $1000 you'll want to gradually build it up to about 1/4th of your annual income. Set Up an Emotional Savings Account—At your bank, you can set up several different savings accounts and label them whatever you want. We have one labeled "Emotional Savings". This is for the things we want to do but can't quite afford yet; things like trips to see family, holidays, birthdays, and home improvements like painting (wink, wink). Just like the Emergency Fund we subdivide 20% of our savings amount and put it in our Emotional Savings account. It adds up over time and is the responsible way to pay for things that make life really worth while. Set Up a Long Term Savings Account—This last savings category is for retirement. Like I said, savings is delayed spending. You will need to spend at least a little money in your retirement and the reality is the average American only retires with $60,000 in assets. Enjoy your year of retirement America! We think it's important to take this one seriously. The account you set up for this one is more of a holder account until you transfer the money to your retirement accounts like the Roth-IRA and invest in mutual funds. Nothing crushes savings and retirement goals like mountains of debt. So many of us these days graduate college with so much debt that it's difficult to save up and buy a home. Add to that car payments and credit card debt and it feels like you're living your life in quicksand. This third element of your financial plan will feel the best once you've squashed it. We were really motivated to work on our student loans after taking Financial Peace University. The Debt Power Down—This is just like Dave Ramsey's Debt Snowball. List your debts smallest to largest and pay off the smallest first with intensity. Then as you pay off your smaller debts add the payment amount to the next smallest debt. Since all of your debt payments were part of your monthly budget, instead of looking at the freed up money as extra spending money, lock in your lifestyle and put the extra on the debt. Make Accelerated Debt Payments—Accelerated Debt Payments are extra payments you make to the principle of your smallest debts. This is what you do with the extra money outside of your 10% savings. I would even encourage you to press pause on long term savings to put that money on the debt. We even made an accelerated debt payment account so we don't get tempted to spend that extra money on anything else. Sell Stuff—Dave says, "Sell so much stuff the kids think they're next". We end up saving so much junk around our house that we end up buying bigger houses just to fit it all. As you replace things like cell phones, clothes and furniture, sell the old stuff before it isn't worth anything anymore. Smartphones especially tend to sell for a decent price if they are sold on eBay or Amazon unlocked. If you have a motorcycle or a boat that you only ride twice a year when it's the perfect amount of sunny out, sell it! If you've got a car with a payment, sell it and buy cash. The cost of repairs are almost always less costly year-over-year than having a car payment. As you sell these things, take the money and put it in your accelerated debt payment. These things will change your life! Wouldn't it be great to be able to afford more of the things in life that create precious memories with friends and family? Wouldn't it be nice to just know that you're going to be ok. Wouldn't it be great if things didn't just feel so...tight. These principles work! If you come up with a plan for your money as opposed to saying, "I just won't spend money", you'll be able to do things with your home that make you love it. You'll be able to track and plan for new throw pillows or bath towels. You'll make that trip to ikea with confidence. Your beat-up walls and trim can get that facelift you've had at the top of your list for the last year. YOU CAN DO THIS!!! Ready to paint but don't have the cash? Take our Financial House Workshop to create a savings plan for home renovations and updates! Our number one goal as a company is to help people love their home more and sometimes it takes work and patience to get there. If you would like to get an idea of what it might cost to get your home painted, I'd love to come by and give you an estimate so you can start saving up. I'll even help you come up with a Home Renovation Savings Plan to help you get there. Click on our link below to learn more about our program!